How do you spend your vacation? On the beach, camping, whatever. Well here we always have so much needed chores to get to. 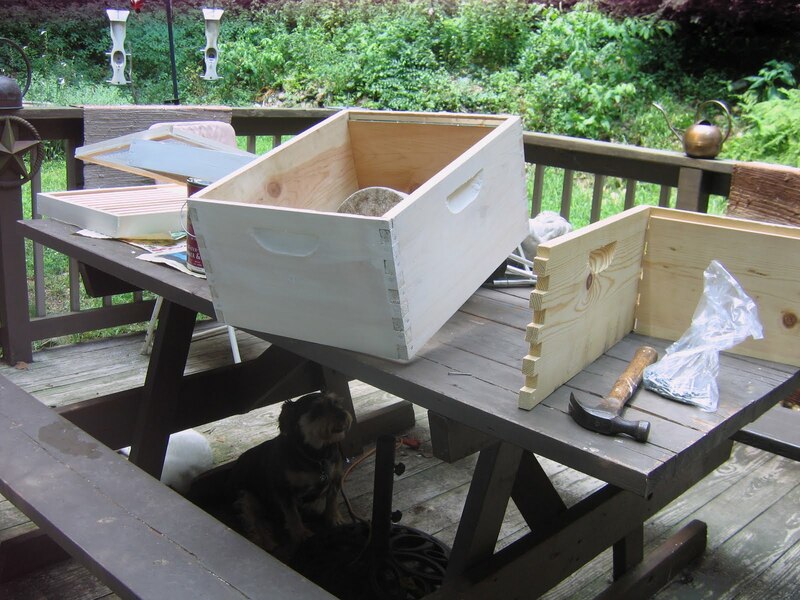 The picture on the right is a bee hive under construction and being painted. This will be our third bee hive which is already being established on the "bee hill". I am hoping to check it tomorrow and see if our queen has emerged from her queen cell. The other pictures are of the wool from the sheep that we are "skirting". That is a term for picking the bad stuff and the "poop" out of it. 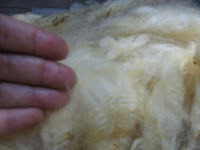 The picture showing my fingers, if you look close enough you can see the lanolin. 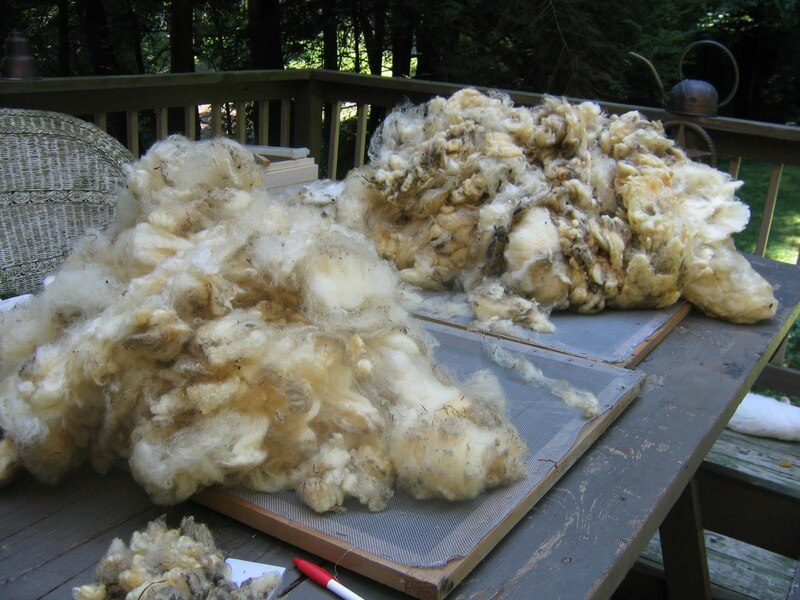 The fleece is soaked in it. Don't worry though we are planning a few things to do on vacation for fun!